This pdf from Jon Brazer Enterprises is 29 pages long, 1 page front cover, 1 page editorial, 1 page ToC/introduction, 1 page SRD and 1 page back cover, leaving us with 24 pages of content, so let’s take a look! So this is the pdf that allows one to play Half-Faerie dragons. If someone had told me I’d one day review such a book, I would have laughed that person in the face – which is thematically fitting, as few words describe this race’s outlook as well as “whimsy”. As the superbly amusing monologue that starts this pdf proves, Half-faerie dragons may not be too wise, but damn, they can be fun to play as a race – or can they? Well, let’s take a look at the mechanics: Gaining +2 to Int, Dex and Cha, but -2 to Con and Wis, they are fragile. They also get the draconic subtype, slow speed, are small, get darkvision 60 ft., can cast prestidigitation cha-mod times per day as a spell-like ability, +2 to saves versus paralysis and sleep effects and courtesy of their butterfly wings, +2 to acrobatics and fly-checks. They can also 1/day breathe a cloud of euphoria-inducing gas that staggers and sickens those hit by it, but also makes them immune to fear-effects, making it possibly to use it both offensively and defensively. Generally, the race feels like it belongs to the upper power echelon, but not necessarily in an unhinging way. Taking a cue from the first book of the series, we go on to get extensive descriptions on the physical characteristics of the race, relations etc. – all in all well-written and compelling and also links the faerie-dragons with wishing. The 5 new traits allow you to customize your half-faerie dragon to be naturally adapt at magic, good at running away from angry tricked larger folk or better at acquiring things. Also, if you want to sparkle, there’s a trait for that – just take care you don’t become a vampire if you do! (Or wait, THAT would actually be damn funny…) . The race also comes with 5 alternate racial traits that exchange draconic resistance for the option to cast disguise self cha-mod times/day, for 1d3 claws and if you also lose the power to use prestidigitation, you can belong to the dragon type. Alternatively, you can just sacrifice your capability of arcane whimsy for +2 to AC or sacrifice your breath weapon for the power to cast sorcerer spells at +1 caster level. Favoured class options for bard, cleric, druid, paladin, rogue, sorcerer, summoner and wizard are provided as well, as is a discussion on Half-Faerie Dragon psychology that includes the Art of the Prank, their approach to technology and magic, love and mating, history and lore etc. – all painting a surprisingly logical, well-presented panorama of an uncommon race to say the least. Oh, by the way, age, height and weight tables are also part of the deal. Three new racial archetypes are presented after that, with the bookwyrm (for the wizard) replacing his 5th level bonus feat with getting half his class level as bonus to all knowledge-checks and providing the option to make these checks untrained. Thieves with Wings replace uncanny dodge and a rogue talent with gaining the fly-skill as a class skill, the feat to allow them flight as a bonus feat and the flyby attack feat. Butterfly Troubadours may boast of their exploit to the extent where they believe themselves to be actually better, mock foes and subtly weave the usage of his breath weapon into his performance, which is perhaps my favorite piece of rules in this context. This chapter also provides the new faerie dragon bloodline for sorcerers, which allows for befuddling touches, the signature euphoric breath weapon, butterfly wings, swap locations at higher levels with other beings and finally become a Half-faerie Dragon/live up to your full draconic potential. Quite nice about the bloodline: Its abilities take half-faerie dragons also into account and expand their racial powers instead of granting them like the bloodline does for none-half-faerie-dragons. The pdf also includes a new PrC for the race, the Dappled Thurge, who gets d6, 2+Int skills per level 1/2 BAB-progression and medium will-progression. What’s interesting about this PrC is that it grants full spell casting progression to BOTH prepared and spontaneous arcane spell casting classes, taking a holistic approach to both. Rather interesting is the ability to cast progressively higher (starting at first level and going up to fifth) spells she knows (but need not have the spell prepared) by sacrificing a spontaneous spell slot of one level higher. As a capstone, the class reduces the level-increase of meta-magic applied to spells by half to a minimum of +1 spell level Int-mod/day. A thoroughly interesting design and an intriguing PrC, though the editing glitch of “prepares [sic!] spell casting” in every line of the PrC’s table sticks out like a sore thumb to me. A total of 9 racial feats have been included in the book to develop the race further: Temporarily blinding foes with light reflected from your blade, beast-shaping into a faerie-dragon, chameleon scales that allow you to use stealth even when observed and unable to hide, telepathy as a spell-like ability and at 7th level a fly-speed are some of the new options. Breath weapons may be augmented to use them once every 1d4 rounds and via other feats, add the confused effect to the others AND even get an option to make the breath weapon make foes staggered, confused and sickened for 1 round EVEN if they save. And honestly, that is where the pdf kind of underestimates the power-level: We are speaking of a 30 ft cone every 1d4 rounds that has a save of 10+ 1/2 class level + con-mod and inflicts move OR standard actions (No more full-round actions), -2 to ability, skill checks, saves, atk and damage and the effects of confusion – for 1d6 rounds per application, at least 1 even on a successful save. As a supernatural ability that CAN’T BE DISRUPTED. This is the pay-off of 3 feats. This is insane on so many levels: Once every 4 rounds would be insanely strong even sans the confusion added. Making it apply even if foes save is really, really bad. And offering no way to counter it (it doesn’t even count as poison) is just the icing on my personal Broken-rules-cake. Yes, I get that the con-penalty is significant regarding the DC, but for e.g. martially inclined half-faerie-dragons this mini-feat-tree is rather powerful and unbalanced. Either a fixed limit, getting rid of the effects even on successful saves or a way to counteract the breath weapon are required to salvage this. A feat that lets you cast any prepared spell spontaneously by sacrificing one prepared spell of one level higher would also set off my radar, but its limitation to being usable once per day saves it and makes it an actually rather interesting idea. Among the new items introduced in this installment, we get a kind of hookah that mixes multiple breaths for a more hilarious story-telling, globes containing bottled breath, swords that deal less damage than similar ones, but count as cold iron and have a threat range of 18-20, timed purse-shaped color-bombs to stain potential thieves, laughing poison, patchwork armors and arrows that essentially are stinking bombs of the most disgusting variety. All in all, cool items! Dms daunted by integrating this race into their campaign will welcome the 4 sample communities (sans settlement statblocks or the like, but full of ideas) as well as the advice given for both players and DMs to avoid turning the inclusion of this race into a kender-fiasco V.2.0. Be sure to read this chapter carefully! We also get sample NPCs, with the first being a straight-forward bard level 1, the second being an illusionist/sorcerer 4/dappled thurge 2 and the final one being truly interesting: At CR 11, the character is a bard 2/fighter 2/oracle 2/ranger 2/rogue 2/sorcerer 2 – a jack-of-all trades, indeed, though one that uses all the broken breath weapon feats. Editing and formatting are not as good as in the seedling book – I almost overlooked the header for one of the magic items since a blank line is missing and I encountered numerous minor glitches here and there, some of which (in e.g. the case of the breath weapon-mixing hookah) make the entry harder to understand than it should be. Layout adheres to JBE’s no-frills two-column standard and the b/w-artworks (one in color) are to my knowledge original and nice, though they don’t reach imho the awesomeness of the seedling-artworks. The pdf comes fully bookmarked and as per the writing of this review, herolab-files have not yet been provided. 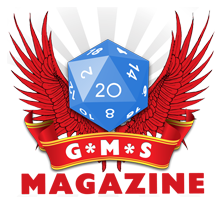 The pdf is hyperlinked to d20pfsrd for your convenience, but e.g. “Good” in “for good or ill” is hyperlinked as well though it does not refer to the alignment, there are not many of these hyperlink glitches. I didn’t expect to like this pdf half as much as I did. The writing by author Todd Stewart is compelling and makes reading this supplement an actual joy, with all the information provided making the unlikely race actually come to life and feel feasible, intriguing even. I really, really liked this pdf and it would be a 5-star+ seal candidate were it not for the editing glitches and the horribly broken breath weapon-feats that need a serious beating with the nerf-bat. Still, overall a solid addition to the series and worthy of a final verdict of 4 stars. Alignments; more than just about character!